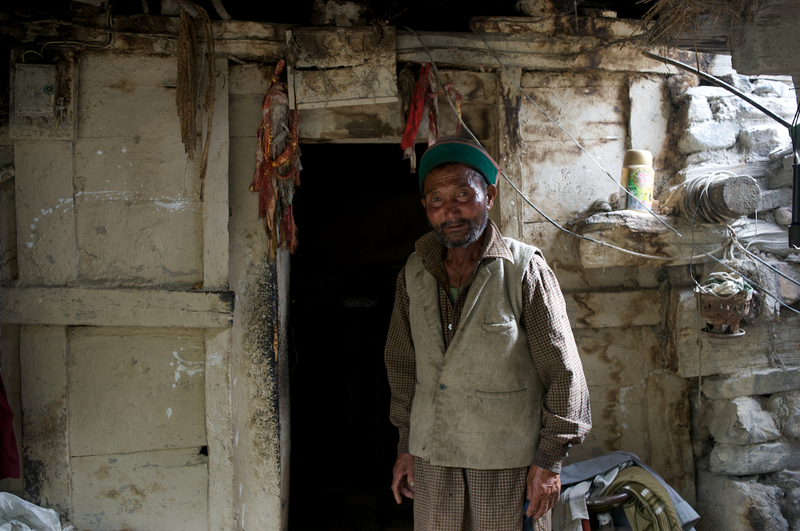 After weeks of editing I’m down to the final images from the Ropa Valley in Himachal Pradesh. Being the final edit means that there are some images that aren’t as strong as images from previous edits, but if they weren’t shown they’d just sit on a hard drive for the next 30 years, and I just didn’t want to let them go. A couple are a bit quirky and the final image from along the highway just seemed to say, “the end.” In any case I hope they give a bit more insight into the culture, and that you enjoy them. Next week it’s back to the United States and some images from Fall in the Blue Ridge Mountains of North Carolina, see you then. Great – very enjoyable. Good on you for getting them off the hard drive. Brilliant shots!! These could be framed! thanks, hope the time in varanasi has been great! Such beautiful photos! Haunting images, really. I didn’t even realize this was India at first, thanks for sharing a part of India we don’t generally see in the media! Great pics. It’s on the Nepal/China border I’m assuming? Since that’s what the landscape reminds me of. India seems like a place that would take weeks and weeks to visit, so when I do go one day I want plenty of time to explore! These shots are amazing! 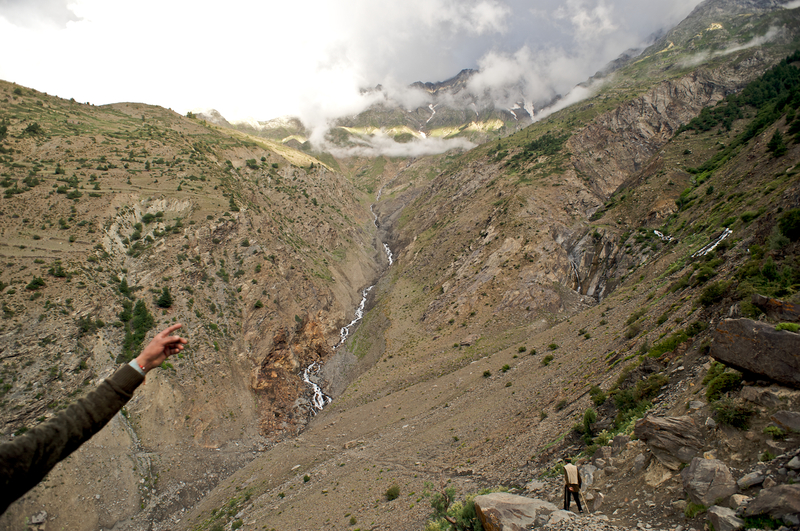 Hope to travel there some day, Himachal Pradesh looks so beautiful and natural! It is a beautiful place, I hope you make it there! Absolutely wonderful.. thank you for allowing us a window into this part of our globe..
Congrats on a well deserved FP!! What awesome photos! http://www.segmation.com I can’t wait to see more from you! I am really proud to see all these. Thanks, it makes me really happy when a local person enjoys them! Love your images! You appear to have captured the essence of the people. They look so happy with so little! Truly breath-taking images. You are very gifted. I enjoyed them all, really. Congrats on being FP! I agree with ‘thespectatorssport’ .. it’s nice to see parts of India that’s yet to be touched by media .. congrats on being Freshly Pressed! I am a resident of Himachal Pradesh myself. You have truly come up with some real colours of himachal. Great Job! I got some of Himachal & Uttarakhand’s pics on my blog in the category ‘photography’ (very amateur tho lol).do check out. It really makes me glad when a person from Himachal appreciates these images! I love that pic of the door. Shots like that always make my imagination go wild wondering what’s behind it. I know whats behind it, but I’ll let you keep imagining…. Thanks for dropping by! Wow! I love everything about these pictures. Everything about all of them actually! You have an incredible eye! Can’t wait to view the world through your eyes! Thanks Mindy, I appreciate the kind words! These are such beautiful images! So much texture and color- really stunning! Look forward to your pictures of the Blue Ridge Mountains! You’ve got a very nice photography! Great photos! Thanks for sharing and well deserved to be on Freshly pressed! Thanks, really appreciate it! I am now following! Just checked out the work on your blog. The feeling’s mutual! Magnificent photos! . . . Well done! Your images are amazing! they really make me see what you saw, and relate to it. I am a photographer also, and I know how hard it is to edit oneself, in a way we fall in love with most images and so hard to let them go unseen, so I understand perfectly what you are saying; great work! well, i was hoping a few of my earlier posts on himachal pradesh would have made fresh pressed instead of this one. i threw a couple on this post that probably shouldn’t have made the edit, but i was thinking what the heck. nonetheless, i appreciate your kind words! 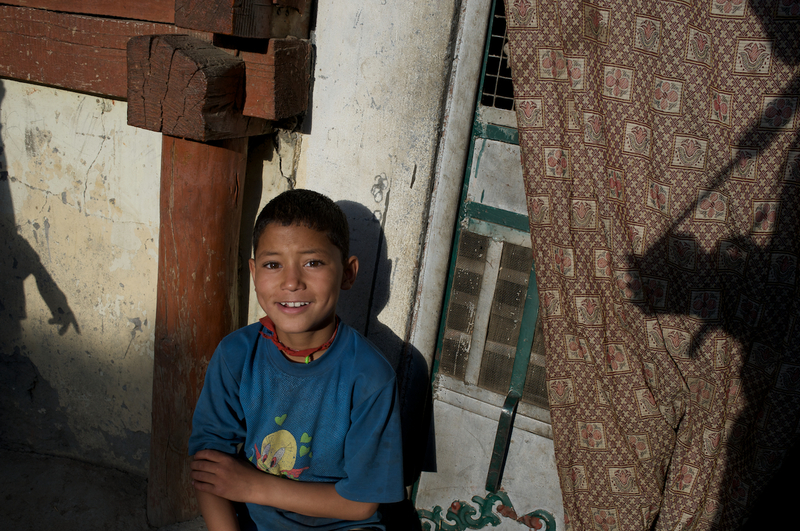 Just came back from Ladakh not too long ago. Hoping to head in that direction of India some day too. Beautiful photos – totally get what you mean about “if they weren’t shown they’d just sit on a hard drive for the next 30 years”. Keep them coming. You mention in your blog that these images are the least of the group. I have not yet seen the other ones, I’m new to your blog, however, these are beautiful. i especially love the third one down. The one with the lady on the balcony of her mud house. You have a great eye. I will follow your blog. hey, thanks, i appreciate the kinds words! I just checked out your Himalaya’s pictures and how you became a friend to the people there. There is nothing more satisfying than being able to do what you love and be loved for it. Thanks for sharing these beautiful shots! thank you for coming by, it’s what i love to do! Thank you for the amazing photos. I wish I was in the mountains with you. I’m mentally hanging out some prayer flags for you – lots!!! Thanks Jyo, that one is my favorite too! These are lovely. That last shot made me gasp. That’s exactly the reaction I was hoping for… Thanks! Such beautiful, amazing photos. I love your work! Thank you for posting these wonderful pictures. 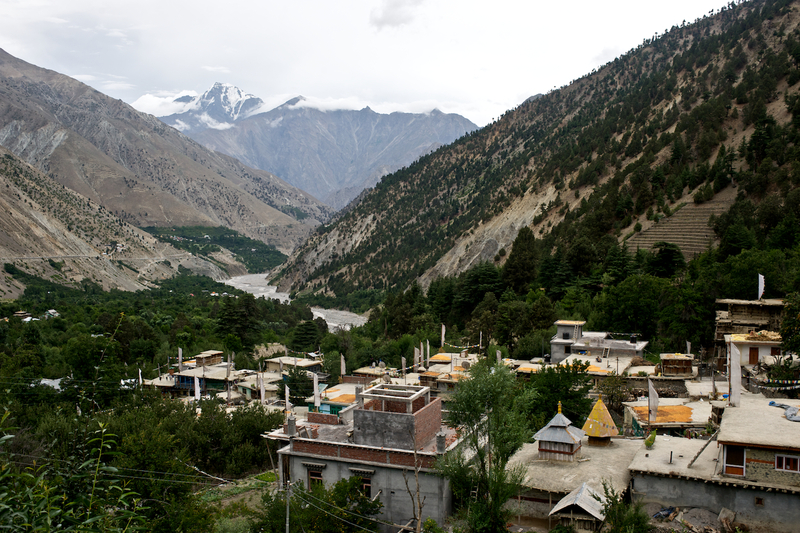 I actually was born and raised in Himachal Pradesh – Dharamsala to be specific. You have beautifully captured the life within these hilly regions. My favorite picture is the one of older man holding a baby on his lap. Brought back memories of my late grandfather and how he use to take me for a walk on the bumpy and rocky roads of Dharamsala. I love all the blues and grays in these pics. They have a very calming effect. My favorite is the prayer flag one. I love the portrait of the grandpa with the grandma in the blur. Well done! Also, it is my dream to one day travel and take images as wonderful as yours! Definitely an inspiration to me. Ashley, you’re too kind. I really appreciate it. I think you’ve got a good eye and I’ve followed back. Final edit or first, I really like these too! Look at the dimples on that boy in the third-to-last photo! Awesome photos. They are all so natural-looking and colorful! I find taking pictures of people very challenging as catching the expressions at the right time is very difficult. You have done a very good job. Amazing pics. i stay in India and haven’t been to Himachal Pradesh.. your pics are mesmerizing and the urge to see the place rises in..
Himachal Pradesh truly captured through its people, places and scenic beauty! Gr8 Pictures! 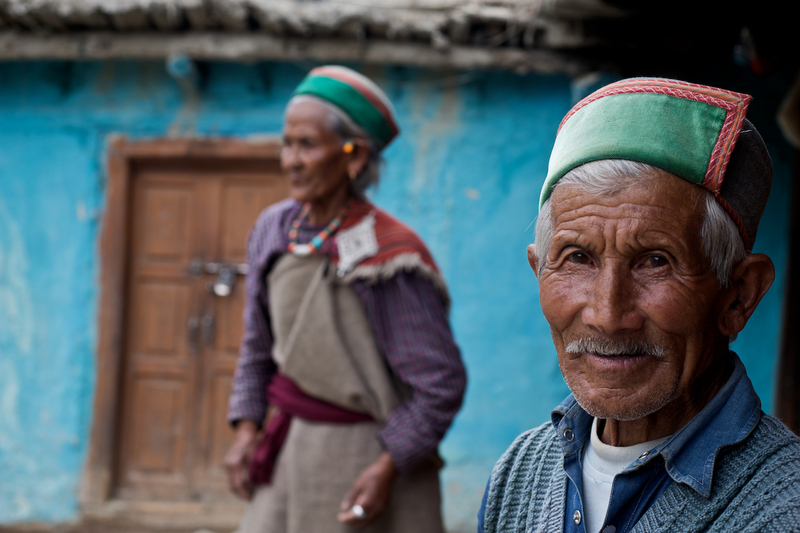 A great post and pictures from Himachal Pradesh, India. Truly captures an insight of its people, places and scenic beauty! 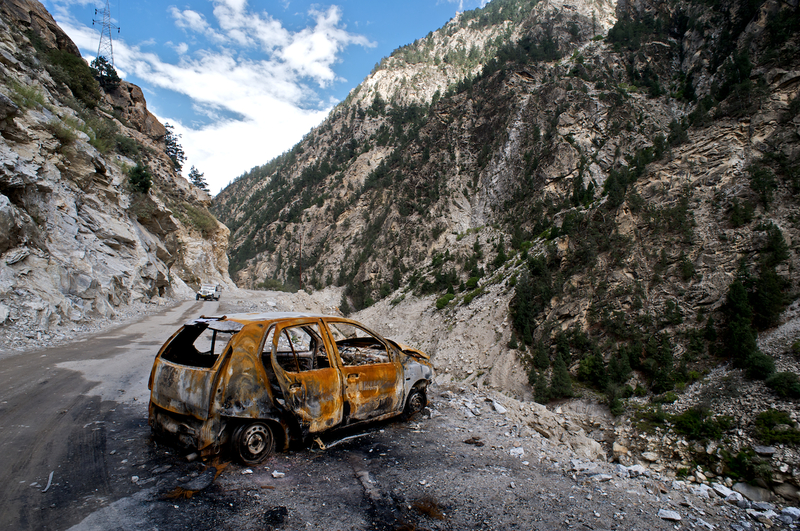 Beautiful photos giving the viewer a glimpse into the life of Himachal Pradesh. I especially like the one with the little boy peeping out of the window beneath the clothesline! Thanks for sharing…. With a name like Folding Mirror Poetry I had to give it a look, thanks for stopping by, come back anytime! I would Never have seen this world without You. Thank you. Martha, that might just be my favorite kind of comment, I’m glad I could share it with you! You have such a gift for connecting with people and bringing out their humanity and beauty. Not to mention the beauty of their surroundings. It shows here, too, in your personal response to each comment. Thank you for loving life enough to want to capture its brilliance. It touches the heart in a lasting way. And I appreciate you using your gift of encouragement! You’re making some healthy food and drinks over there! I love northern India, too. Try to integrate its wisdom and inspiration wherever and whenever I can. Thanks for shining more light. I love them all and you’re being too humble when you say the edit is not perfect! I’ve recently bought a new camera and hope one day I will be able to take pics that are as good as yours! Thank you for the beautiful photos,it was like being there. Himachal Pradesh is and always been my favorite summer destination. 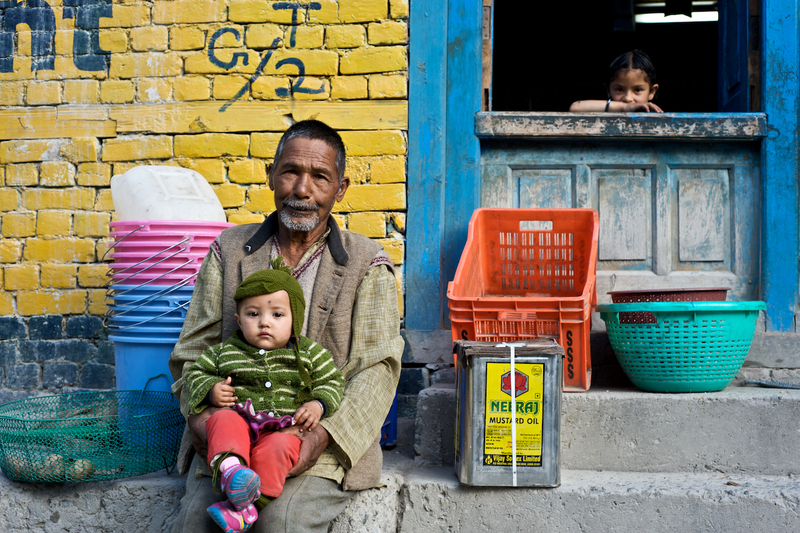 I love the Himalaya- looks to me like a father figure protecting India. I love the rift valleys, the surrounding green and the sweet apples on the trees. I have been there a long time ago though. I miss the place a lot. And after seeing ur images, memories of my childhood summers which I spend up there drifted up in my mind. Thanks for posting such lovely photos! I really appreciate your kind words, and I’m glad these photos could help conjure up some good childhood memories! Great images all around. I love some of the portraits. It makes me want to get back on the road and start traveling again. Gorgeous, gorgeous, gorgeous! The first ones remind me of where I stayed in Delhi, with that turquoise wall. Rather late to this, just getting through the stack of “Freshly Pressed” emails I’d abandoned throughout the year. I love all of these but I’m a sucker especially for the marvellous valley landscapes. Many thanks for sharing your works. Did I mention I love skyscapes too? 🙂 Thanks again, I’ve never been out of Europe but always been curious about the far-flung Orient. I have a friend who recently visited India, seemingly a similar area to where you’ve been judging by her own pictures. Someday I may pay a visit too, if fortune is with me. Reblogged this on ATTY. MAKI T. DATU-RAMOS II. I enjoy the quality of your photos, you seem to have a talent for photography. Thanks, I’ve certainly been passionate about it for a long while now.